0% p.a. on balance transfers for 24 months (1.5% BT fee applies. Reverts to Cash Advance rate) if you apply by 30 June 2019. Collect 2 points per $1 on eligible spend – that’s on top of the usual flybuys points from other partners. Save $10 instantly at the checkout when you redeem 2,000 flybuys points. Collect 2 points per $1 on eligible spend – that’s on top of the usual flybuys points earning rate from flybuys partners. A rewards card with only a comparatively small annual fee. No international transaction fees on purchases when you shop online or overseas. Up to 55 days on purchases (no interest-free days apply for retail purchases while you have a balance transfer). Protected by the Coles Shield. After the promotional intro period on balance transfer is over, any unpaid balances will be subject to the cash advance rate, currently 19.99 percent p.a. There is still a foreign transaction fee for withdrawals outside of Australia or in a foreign currency — that’s on top of the $5 International Cash Advance Fee. Late payment fee of $30 each time the Minimum Payment due and any Overdue Amount is not received by the Payment Due Date. Terms and conditions apply. No interest free days apply for Retail Purchases while you have a Balance Transfer. There’s one card that all dedicated flybuys points collectors need: the Coles Rewards Mastercard. It transforms an otherwise rather slow and pedestrian loyalty program into a true money-spinner, with its high points earning rate, generous interest-free days and a number of other useful benefits for dedicated Coles shoppers. How does a permanent 1.5 percent discount on your supermarket shopping sound? Too good to be true? Not when you use the Coles Rewards Mastercard. This card offers 2.0 flybuys points per dollar spent, everywhere you use it. So when you add those 2.0 points to the 1.0 points per dollar you already get with most flybuys program partners, the result is a very healthy 3.0 points per dollar. That translates into $10 off your Coles shopping for every $667 you spend at flybuys partners (thus earning 3,000 points), which equates to a permanent 1.5 percent discount. You probably already know about the well-promoted flybuys potential at Coles, Kmart and Target. But did you know that you can also earn flybuys at Liquorland, First Choice Liquor, Coles Express and Kmart Tyre & Auto? If that’s not enough, you’ll also get points from doing business with Medibank, eBay, Budget car rental, AGL, Adidas, Kleenheat and several fitness companies and caravan parks. Most people do business regularly with several of these organisations, which means that flybuys accumulate without any need to change spending patterns. Instead of using the discount yourself, you can give it as a gift. Points can be converted into $50 or $100 shopping gift cards. Merchandise is available at the flybuys online store. Choose from home and garden, fashion, technology, toys and baby products, watches and jewellery, and many more categories. Points can also be exchanged for beer and wine, magazine subscriptions, movie tickets, entertainment and dining experiences and hotel accommodation. Flybuys can be converted into Virgin Velocity Frequent Flyer Points at the rate 2,000 flybuys equals 870 Velocity Frequent Flyer Points. Link your flybuys and Velocity memberships and earn one Velocity status credit each month for every $100 spent across Coles supermarkets, Coles Online, Liquorland and First Choice Liquor. Status Credits can improve your Velocity Frequent Flyer status to silver, gold and platinum levels, with accompanying travel benefits. Long-lasting balance transfer offer – 24 months at 0 percent p.a. 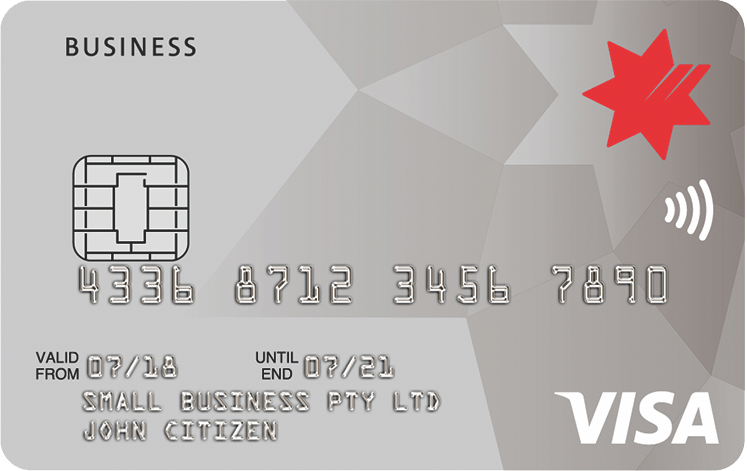 New cardholders can transfer a balance from their existing (non-Coles) card or cards and pay no interest on the transferred amount for a long 24 months. You can save heaps if you are currently paying high credit card interest on an overdue balance. Or, if you already have the cash in hand to repay the balance, drop it into your mortgage offset or savings account for two years. However, while there is an unpaid balance on your new credit card account, you’ll miss out on the up to 55 interest-free days you’d normally enjoy, making the card temporarily virtually useless (or very expensive) for making purchases. And if you fail to repay the balance in full after 24 months, the revert interest rate is 19.99 percent p.a. There’s also a 1.5 percent transfer fee to pay upfront, but this won’t make a huge dent in your interest savings. For example, if you were to transfer debt of $5,000 from a card where you are currently paying interest at 20 percent p.a., you’d save $1,917 in interest over 24 months, but pay a $75 transfer fee, reducing your savings to a still very worthwhile $1,842. Although you will pay an annual fee of $99 with this card, this amount will be recovered in cash rewards each year as soon as you have spent $9,900 (earning 19,800 points). Cover the fee even sooner by spending $6,600 (or less, depending on each partner’s points rate) with flybuys program partners. Every point you earn after that is free. Another rare feature that you’ll appreciate is the lack of an international transaction surcharge. Other cards can charge up to 3.5 percent on top of the face value for processing overseas purchase transactions. This Coles card levies no additional fee, whether you are shopping online with an overseas supplier, or in person while travelling internationally. The only other cards offering fee-free foreign currency conversion are the 28 Degrees Mastercard, the ANZ Rewards Travel Adventures Credit Card, the Westpac Lite Card and the higher end of Bankwest’s credit card range. These competitors either offer no rewards points or charge a higher annual fee than the Coles card if they do. Checkout faster using Mastercard PayPass Tap & Go for transactions under $100. The Mastercard also functions as a flybuys card, so you only need to carry and use one card instead of two. The Coles Mobile Wallet is a free app which turns your smartphone into a useful shopping tool: use your phone to collect flybuys and activate flybuys offers, as well as to access your credit card account and transaction details. Up to four supplementary cardholders can be included in each card account, with a convenient single statement, at a low cost of $10 per additional card. There always has to be a downside, and it’s in the interest rates: 19.99 percent p.a. for both purchases and cash advances. But there’s no need to pay these rates. If your finances are in order and you diarise payment due dates to avoid missing them, there’s no reason for these rates to bother you because they will never be applied to your account. Making a note of the payment due date will also mean that you’ll dodge the steep $10 late payment fee levied for every seven overdue days. If you think you’ll need extended credit, choose a low-rate card instead, like the Coles Low Rate Mastercard. Platinum concierge service, available 24/7 worldwide. Access information and reservations for restaurants, travel, entertainment, sporting events and sightseeing. Purchase protection insurance, covering your major purchases against loss, theft or damage for 90 days, provided you bought them using the card. Transit accident insurance, providing cash compensation for serious injury sustained on trains, buses, planes and ferries, where the fare was paid with the card. Extended warranty insurance for up to 12 additional months, on items bought with the card. It’s always best to check the competition to make sure you are getting the best possible deal for your personal spending pattern. If flybuys are your goal, Coles cards are the only option and this one has the highest points earning rate. Compare them all on our ‘All rewards’ page in our Features section. It can pay to be earnest about accumulating flybuys. ASIC’s MoneySmart website says that Australian families spend on average over $16,000 per year on food, drinks and alcohol. At 3.0 points per dollar (2.0 from this card + 1.0 from the flybuys partner) that could add up to a saving of $240 at the checkout during the course of a year – almost a week’s free groceries, so not to be sneezed at. Most cardholders will also be able to accumulate additional points from other participating businesses. This is without doubt the go-to card for savvy shoppers who are flybuys collectors. There are good benefits to be had from the card but application process is time consuming and lengthy. It’s been over a month of going back and forth and I still haven’t received the card yet. Customer service is terrible, and every event is quoted as 7-14 days for processing. Like when I did my ID check, then it took a further 10 days and another follow up phone call for them to progress the next step. While Coles MasterCard does not necessarily offer the best physical rewards program, it does offer the best security that I have ever seen in a credit card, which is the best reward anyone could ask for — an easy night’s sleep. The customer service staff are kind and easy to speak to. It has flybuys, and the only real reason I have had this card is I had it back when Coles gave you a discount on everything they owned through their shares. It’s not practical now, and if I found a free, trouble-free card I would likely switch. Also, you have to pay an annual fee on this card. I love my Coles MasterCard. We use it for everyday purchases as well as business purchases, and pay the balance every month by the due date so we don’t get charged interest. We earn usually a couple of hundred dollars a year in reward vouchers, so with only an $89 annual fee, they actually pay us to have the card. Plus they have had no international transaction fees this year, which saved money on overseas purchases. I’ve been very happy with this card so far. The fees are reasonable. The online service is simple. The app is easy and always works. They’ve contacted me about unusual activity. They’ve been easily contactable and responsive to my issues. They’ve resolved any queries I’ve had. They’ve been clear and forthright and it’s a good value card with good service to back it up. I’m a happy customer. Apart from the high interest rate, which applies only to an open balance after 55 days credit use, Coles Platinum MasterCard has served its purpose. It suits my needs, and provides security and peace of mind. Customer service promptly alerts me to any unusual activity on my account and provides assistance with cancellation of purchases and refunds. Overall I have found the card to be a good backup when required. It’s good for use online. My preference would be for it to have no annual fee. Then this would be a very good card. The interest rate is high and needs to be reviewed, as with all credit cards. Customer service has been good when required. This is a great card if you do all your grocery shopping at Coles, buy petrol at Shell, and take advantage of the flybuys partners. The points will rack up quickly. I like redeeming $10 off at each Coles shop. There is a large selections of rewards. It would be nice if the interest rate was a little lower, or the interest free days applied to all purchases. Knowing that I am contacted whenever a large transaction is made, to ensure it was me or my husband, reassures me when making a purchase, paying a bill or using the card anywhere around the world. This is the one card we have always had accepted wherever we go, and added to that is the bonus of earning flybuys points whenever we use our card. We pay in full every month so never have to pay any interest. It is just so convenient, so safe and so rewarding. I originally got this card for the low $49 annual fee and because you earn two flybys points for every $1 that you spend. To be able to use your points collected to pay for everyday items like petrol and groceries is a massive bonus. It is an excellent credit card, definitely the best I have ever used, and I would highly recommend it. I have had this account in a few forms for over 20 years and have always been happy with it. I find that it offers the best rewards system (flybuys). It is very easy to earn and redeem points and the return on spending is quite favourable. I would recommend this card to anyone. Having my flybuys number on the back of my card is very convenient. Because we pay out our balance each month there are no interest charges. We get points on all transactions, even when paying bills. Points build up faster and we are able to redeem our points for great products and services. Transaction are easily viewed on an easy-to-use app. The card is accepted everywhere. There’s great service from the provider. Fraudulent transactions are investigated promptly. It gives me peace of mind when Fraud Services call to verify a possible dodgy transaction. I’ve recently signed up for this card. The process was easy online, though not as easy to get a second card for my partner to use. Reminders re payment are good. So far I’m happy with it, and as I usually shop at Coles it’s good to earn points there and elsewhere too. The opening offer of $100 off my shop was great and I certainly took advantage of it. It’s an ideal card if you intend to pay back the total monthly balance in full and earn flybuys rewards without annual fees. The card carries flybuys details on the reverse, so there’s no need to carry a separate flybuys card. It has tap and pay convenience and is accepted overseas. There’s full access to account details via the internet and it also offers electronic payment options. This card is brilliant for your daily shopping, such as groceries or small household goods, as it combines your purchases with flybuys reward points. It also has a fair interest rate, which is always a plus, and since it’s a MasterCard it is accepted practically everywhere. The online site is also quite easy to use, giving a simple chart to show your available balance. If you’re already shopping at Coles/Target/Kmart and have a flybuys account, it’s definitely worth using. A card having no annual fee is very attractive. Having the app to go with the card is very useful, to easily check and track any expenses. Free flybuys are linked to the account to get points when shopping at Coles. It helps that the flybuys barcode is on the card as well, so there’s no need for multiple cards. The handy RFID tag to stick onto the iPhone is great too, in case you forget to take the whole wallet. The generous interest-free period helps too. I pay off the card in full, so have no comments on the interest rate. This card has a great rewards program attached to it, which means you get points for buying everyday things that you would buy anyway. My only problem with this card is the annual fee attached to it that makes me feel that the company is charging me to make money from me, which does not make sense. This card has a great rewards program that means you have a constant influx of points just for buying everyday stuff. My only problem is the annual fee, which to me is a bit greedy considering how much money they make from my purchases. Overall I would recommend this card. Their rewards program is good, as points also go onto your flybuys card, and the customer service people understand your financial problems if you have any. They can set up a payment plan that will suit your needs and the repayments are affordable for most people. Great customer service always. The best thing about the Coles Rewards MasterCard is that you actually get $10 off each shop for 2000 points. This more than pays for the annual fee. We save over $200 each year and it’s so easy to claim. In fact it’s automatic at the register, you just say 'Accept’, or not. We are flybuys members and the Coles MasterCard rewards work really well with this, saving us one card to carry. Redemption is really easy and the total rewards are comparable with other credit cards at a much lower annual fee. The most surprising thing is that when I have had to query costs, the customer service team was very helpful. I did not expect this from Coles and was quite satisfied. Rewards are great, the interest-free period is good, but the annual fee was increased the year to cover foreign exchange fees, which is a service I use once in a blue moon and would willingly pay for to avoid the increase in the annual fee. It should have been a choice, not an arbitrary decision by someone in head office. I use this card because it is linked to my flybuys account and therefore I can double dip if I use it to pay for Coles groceries and Coles Express fuel, which is the most convenient one for me. Then I can convert my flybuys points to cash to buy groceries or recharge my phone. When in Australia, the company is a true pleasure to deal with as deaf customers can contact them through deaf services which are only provided to those in Australia. But if you travel overseas, you will quickly realise exactly how difficult it is to deal with the company, even if your card is lost or stolen, as they do not provide any email support or live chat to deaf customers who are not calling from Australia. I hope that some day, Coles MasterCard realises that the deaf also travel and when they are in a bind with their credit card, communication channels need to be open for their deaf customers at that time. I get rewards from spending, but the annual fee is high. It can be used anywhere and is easy to use. The interest rate is higher than average, which is a disadvantage, but it helps me to be disciplined in my spending. Coles MasterCard is easy to deal with if problems arise. This card is a great way to fast-track your flybuys rewards. You also get free home delivery over $150. I use my low credit ($1000) card to pay for the groceries each week and have already redeemed some great rewards. The online system and app could be improved, as they are fairly basic, however it is still easy to perform basic transactions on the go. I love this card! Being someone with a mortgage, I use my credit card for most house-related costs (insurance, rates and utility supply bills) so this is a very handy way to earn points for expenses that I already have. The annual fee of $89 is cheap compared to other cards so if you spend at least $900 a year on your credit card I recommend this one. The flybuys points gained after each purchase offset the annual fee. Collecting the flybuys points and using them for Coles purchases makes this card great value for money! I like that you can track your points easily online. The only issue is the lack of phone contact if there is a problem with your card. It’s a good service to use if you’re going to Coles on a regular basis. My recommendation though is to check whether you need the $89 annual fee or the No Annual Fee card. The annual fee is good for people who average at least $150 per month on their card. I had used the same credit card for 20 years, which did not give me any rewards. Just 2 years ago I changed to the Coles MasterCard. I chose the one with the annual fee because I worked out that my flybuys dollars would cover the annual fee plus I would have some flybuys dollars left for purchases from Coles, Kmart, Target, etc. I am not sure about the credit interest rate because I pay the whole balance before the due date. I recommend this credit card if you use are a heavy user of credit cards and you pay the whole amount before the due date. My annual fee is $49. I have been using this credit card for almost two years. The points system is one of the best things I like on this credit card, where for every dollar I spend I get three points. They do offer special products as well where we can get hundreds or thousands of points if we purchase the recommended products, or use shops which give you a chance to build up more points. The annual fee of $49 per year is pretty good compared to the benefit I get from this credit card. There’s no international fee if I use my card outside Australia. The credit card team is pretty active to help sort out any problems if there are any suspicious transactions, and solve your problem if you do have concerns with your card. Overall I am happy using this credit card. This is a good card for anybody that pays the full balance off every month. I don’t pay anything to have this card: no annual fee or interest as I pay off the balance. I also get bonus flybuys points when I use it at participating retailers. The only problem I have is that you have to get statements emailed to you. The website seems to be down a lot. When linked to flybuys, the rewards build up very quickly and the more services linked, the quicker the rewards roll in. There’s a bonus for spending at Coles as well as all other transactions on this card. I have used this for more than 10 years and would highly recommend it for anyone. This card is a great all-rounder for our needs. It has good customer service and I like how Coles flybuys is incorporated into the card so that there is no need to have a separate card. It doesn’t have an annual fee on it and you can do all your transactions online. Easy to check your transactions and pay your bill online. Whilst you pay an annual fee, that is more than offset by the value of the flybuys dollars earned as a result. It’s also the longest interest-free period of any card that I know. You get 60 days to pay it off and never have to pay interest if you pay it off in full. I am very happy with this card. I’ve greatly increased my flybuys points balance through everyday spending and special offers, which I regularly redeem for gift cards. Great customer service, easy application and credit limit increases. I can’t say much about the rates as I pay it off in full every month. There’s a reasonable annual fee. Would recommend! If you use this card regularly, it is nice to go shopping at Coles and getting $10 off every few times. The card is easy to use and I feel safe using it. Customer service have been a pleasure to call up as well. I would recommend this card for someone who wants some help with their shopping bills. I have had this card for over 20 years since it started life as a “Myer Card”. It rewards me with flybuys points, which accrue quickly and easily. I have found it simple to redeem them and convert them to flybuys Dollars, which I use regularly at the appropriate stores. I have found that this card offers the best rewards value per dollar spent and highly recommend it to anyone. I love getting reward points for spending money on something I would have bought anyway for my everyday needs. My only complaint is the yearly fee, which is an insult considering how much money they make in merchant fees from me using the card. So overall I would recommend this card to anyone. I put all my monthly spend on this card which acts as my cash book which I can check online at any time and gives me all those flybuys points I can then spend on something special just for me. It costs me no interest as I clear the balance each month. I find the Coles Rewards MasterCard to be very beneficial. I use it all the time as the rewards earned through your flybuys account far outweigh the low annual fee. This is the best credit card I have ever used and would highly recommend it for people looking to get that bit extra. Visiting overseas is a nightmare when it comes to this credit card. There is no way to contact the company except through phone, and when deaf people (such as myself) point this out in a “feedback” email, they shrug it off and fail to respond. I have pointed out to them that if my card is stolen or lost, I will be left in a major jam simply because I am deaf. Ironically, this problem “fell on deaf ears”. I can now earn both shopping points & flybuys by shopping with this card. It appears to be earning points at a fairly high rate and the fact I can shop with it anywhere, even at their competitors, and earn points means we have often been able to get $10 off our shopping total. Coles have good customer service, which means a great deal to me. I can speak to someone if I have a problem and it is seen to immediately. The website is easy to use, which is also good. This is my third credit card. I will not name the last one (it was from a bank), but the service was very poor. There never seemed to be staff to help you and there was always a line waiting for help. Coles were quick to send a replacement card and customer service is good. The card is can be used everywhere, including overseas. I have set up monthly online statements and online payment so that it is “set and forget”. I pay the full amount off each month, so only a small yearly fee to pay. Another card can be issued to your partner too. This card suits me very well. This is my second review after six months with my Coles Rewards Credit Card. When I applied, I was quite happy, but skeptical as big companies are probably cheating someone, somewhere. I am still—and more so—very happy and confident. I am getting exactly what I expected in terms of security, quality in terms of ease and ability of usage, and the warm feeling when you receive something for free, from a multi-national company. I use it everywhere: car payments, small expenses, and my larger multiple monthly expenses. It has swipe and payWave, so I am fully in control of how I use the card at checkout. I have linked it with my flybuys account and I don’t spend a dollar to chase an extra point, but I shop and spend wisely, with triple points on most transactions, a cash back guarantee that comes with MasterCard, and insurance against any fraudulent activity on my card. If there was a negative or two to mention, it has no total spend running balance and it is has an annual fee, but as they do not get any interest from me because I pay it off in full each month, I keep the interest in my saving account and I have all the benefits possible. It is still great value. Still very happy for the first time with a credit card in 40 years since my first bank card way back when. I got this card as I’m going on holidays and wanted some extra money if needed. I also got $100 free cash at Coles just for applying—how great is that! I also get flybuys points on all my purchases. Great benefits and rewards. I’m a team member, so get the card with no annual fee… savings. I originally got this as a backup card, as you always need one that has no monthly fees. There’s always a reason the other card fails at the worst time, plus you get bonus points using it at Coles shops. It’s also handy to have a low balance on it for internet purchases. I have had this card for a few years and I don’t pay any annual fee. It’s also good as you just swipe and get your rewards at the same time. It has good internet banking access, which makes it really easy to set up ways to pay it off. I only use it at Coles for groceries, or flybuys partners like Kmart and Target. I always have enough flybuys for $10 off every time I shop with no effort at all. Have always kept the limit low so that I wouldn’t be tempted to spend it however or whenever. It enables me to leave my bank credit cards with the much bigger limits on them at home so I am not tempted to spend much more. I still have this credit card because it is flexible and understanding. If you are having financial troubles they will listen and accommodate your needs. I recently lost my job and they accommodated my needs by altering my payments – it was no problem to them. They made me feel like an important and valued customer. This is a great card that is accepted everywhere and has a great rewards program. I have had this card for more than 10 years and never had any issues with it. The biggest thing to be aware of with this credit card is if you do not pay in full by the due date, then the interest charged is extremely high. I find the Coles MasterCard a great card for using when shopping for extra bonus points. The only thing is you have to do your payments at a post office, and not in the store. There doesn’t seem to be enough on hand support from staff at Coles with knowledge of how the cards work. But in saying so, when I applied they gave me a chance to have a credit card. Had the old Coles Source MasterCard, which was great when they offered the extra 4c off fuel at Coles Express. Then they took that out and and switched to this and the reward was only extra flybuys points, which couldn’t be used to get a discount off my fuel purchase. In my case, flybuys points aren’t that important to me, so I ended up cancelling the card. Worth it if you spend a decent amount and use flybuys points, otherwise there’s not much point. I obtained this card when I bought Wesfarmers insurance. I am also a Coles team member and by using this card to do my groceries I receive 4 flybuys points for every dollar I spend. The interest rate is comparable with other cards, and the customer service is fantastic and always very helpful. This is the first credit card I have gotten as I was not a big believer in using money that was not mine. When I rang their office, after seeing their ad on television, I spoke to a woman who was very helpful. She let me explain exactly what I wanted, which was to buy a new fridge, she talked me through all the benefits of having a credit card. After talking to her I decided to give it a go. I got my new fridge and I have never regretted my choice. Since then I have shopped around, but have yet to find a better deal. I will stay with my Coles MasterCard thank you. I find this card very good. Customer service is reasonable, but I have had lots of problems using their website. Hopefully I can sort that out soon. The interest rate is reasonable as far as they all seem to be. The black card I have is better looking than the other card they offer. Coles MasterCard was the first credit card I applied for and received. They are very understanding when you hit tough times and will go out of their way to accommodate you. I find the staff very informed and prepared to listen to you. I find their attitude very refreshing. I find the Coles Rewards MasterCard a great credit card to use. I have my flybuys built into my card so it means I only have to carry one card and the points add up quickly. With 2,000 points I can get $10 off my groceries at Coles and it is amazing how quickly the points accumulate with all the bonus offers from flybuys partners that I get via email. The annual fee is usually covered within a couple of months of using the card and then it’s money for jam. I pay the card off in full so the interest rate isn’t applicable. I love the Coles Rewards Mastercard. it is accepted everywhere. I have used it in Singapore and even Japan. I love the Flybuys I receive when I use the card as they quickly amount up to 2,000 points, which equals $10 off my shopping – great for a pensioner. I love the interest-free time I get with the card. If I use it on the 4th of a month, that amount isn’t payable until the 3rd two months later. Altogether, great rewards using it. I have used my Coles MasterCard to pay for all sorts of things: holidays, shopping, bills, car service, car insurance and dinner with friends. Best of all, every time I use my Coles MasterCard I earn FlyBuys points which build up very quickly. So far I have redeemed my points to receive a new house phone and also shopping vouchers. I thoroughly recommend Coles MasterCard to anyone looking to get a credit card. Generally ok, just the account keeping fees are too big. Got it, because no other company gave me a chance to have a credit card. Even now, if i wanted to change my card to better one (with no fees), or small ones, it will not be possible, as i don’t work atm, being on a disability pension. Every single time I have over spent on my card or have spent a great dal of money in a different location to my usual locations, I receive a telephone call to ascertain if I am using the card. Total respect from me. I always pay my card off at the required time. Originally I started out with a Meyers store card, this went through about 3 reinventions which I found exceptionally irritating. Finally I ended up with my current card, which I find very convenient to manage and use. I am not asked for a totally unreasonable password which I would then have to write down and remember and the website is easy to use. Fees are a bit high however. Considering with the rewards card you need to spend about 4000 dollars to earn a bottle of wine I would say this is an average card. The card has a fairly high interest rate and a very poxy website. I do like the deign of the card but who really cares about that? I’ve had a few cards in the past, mostly those with no fees. I took this option even though it has an annual fee instead of the “No Fee” card because with a good level of spending I get enough reward points that translate in supermarket saving to cover the annual fee (more than once)! This card earns extra points and not just with the spend at Coles, Target or K-Mart but anywhere it is used. The benefits just keep adding up and allows me to receive more points that can be redeemed when I shop in Coles. The extra $10 of most of my weekly shop is greatly appreciated. My Coles card is spot on for value and service. I have no complaints at all. The service I receive is great. It is reliable and efficient, and service staff are professional in their dealings. Any problems are dealt with straight away. Rewards are ok and the card is convenient. I find the company to be very trustworthy. I like the flybuys rewards, you get 2 points for every $1 you spend plus bonuses. The rewards certainly covers the annual fee. I like the idea of being able to login to your account and look at your transactions, statements and pay bills through BPay. I like to pay the card balance each month so i don’t have to pay the interest. I believe it is a good card of the so many out there with fare interest rates and great reward program easily accessible and redeemable with lots of options to choose from with useful items for yourself or your home. I know you will find it a must have item in your wallet. The Coles MasterCard offers a long interest free period and its loyalty rewards program is just the best. It offers an excellent customer service and very simple to use account keeping via online. Have had this card for many years. Been very happy with it. Very handy for paying other accounts directly. It is linked to flybuys which I have been a member for years. I have never had any problems with customer services representatives when I have rung them. Only thing I don’t like is talking to a machine and find it hard to get through to a real person. I got this credit card when I had a store card with Target and they changed it to a CC. At first I thought it was great but as time went by and my limit increased I found it very hard to keep it to a reasonable level. Now I am on a pension and I cannot change to a lower interest rate because my income is not high enough although I have never defaulted in my payments. Like I said, I wish I never had this scrap of life-destroying plastic! Never have a problem with this credit card. I had it before when they offered fuel vouchers for petrol. I found the other credit card is better but unfortunately they don’t do it any more. The rewards are good, its a MasterCard, same as any other, shops accept it, you pay your bill, if you spend more than approximately $500 per month then it covers the annual fee. Anything above gets you bonus money. What’s not to like. Pay your bill every month and you can get some FlyBuy points converted to FlyBuy dollars to use in Coles or Target. I love my Coles card, it’s very convenient because it has the flybuys on the back, and it takes no time at all to rack up the points. You can keep a check on your spending by going to your online account and see your balance, pay a bill, or just check your how much you have spent and where. Balance transfers 0% p.a. 24 months 1.5% 80% of credit limit 19.99% p.a.